Background: Cytotoxic drug contamination in healthcare settings is a growing concern. Compounds with carcinogenic, mutagenic, and reprotoxic potency should be fully removed from hospital pharmacy work environments. These carcinogens, however, do not have a defined safety level. Assessing environmental contamination from cytotoxic therapies to keep it below detection levels is critical in hospital pharmacies. Objectives: To evaluate contamination from intravenous cytotoxic drugs in 13 hospital pharmacies in Hungary and to assess the efficacy of a closed-system drug-transfer device in reducing such contamination. Methods: We obtained 2 sets of wipe samples—the first to establish baseline surface contamination within the pharmacy, and the second, a postintervention measure, to investigate the efficacy of the closed-system drug-transfer device (Tevadaptor) in reducing environmental contamination. The samples were obtained in accordance with the European Society of Oncology Pharmacy study protocol. The Institute of Energy and Environmental Technology in Duisburg, Germany, conducted the analyses. The presence of 8 cytotoxic compounds was determined from the wipe samples; these agents included 5-fluorouracil, cyclophosphamide, docetaxel, etoposide, gemcitabine, ifosfamide, methotrexate, and paclitaxel. The Wilcoxon test for paired t-tests was used to compare the baseline and the postintervention levels. Results: The results showed the prevalence of contamination in hospital pharmacies as a result of conventional needle-preparation methods for cytotoxic drugs. The probability of transferring contamination outside the pharmacy, through use of elastomeric pumps, was also observed. The level of contamination was greatest on the surface of the elastomeric pumps used for the management of patients at home. Cytotoxic drug contamination levels were higher at baseline than after the intervention. Using a closed-system drug-transfer device to manipulate cytotoxic drugs significantly decreased the contamination of 6 of the 8 compounds investigated when used for 2 weeks or 1 month. Conclusion: This study demonstrates that hospital pharmacies have high levels of cytotoxic drugs resulting from conventional needle-preparation methods. Our findings suggest that a closed-system drug-transfer device can reduce the levels of contamination in hospital pharmacies. Centralized infusion preparation units of hospital pharmacies participated in the present study. Closed-system drug-transfer devices were launched shortly before this study as a tool to minimize IV drug contamination from the work environment, and had been implemented mainly in hospital pharmacies. Three Hungarian centers had been using the Tevadaptor device before this study and, therefore, were ideal candidates for participation. To maximize the likelihood of obtaining valid and reliable data, centralized preparation units servicing entire hospitals with standardized, good manufacturing practice–based production were primarily considered for the study, as opposed to decentralized inpatient and outpatient units, where antineoplastics are also handled by local healthcare and nursing staff. Drug dispensation is the most complicated part of IV drug handling, posing the highest occupational risks (ie, reconstitution, withdrawal, and aerosolizing); therefore, this dispensing area of the pharmacy environment was considered an appropriate challenge for successful use of the safety device. The primary purpose of our study was to establish baseline measurements of cytotoxic drug contamination and assess the values in 13 hospital pharmacies in Hungary. To our knowledge, such data were not available in Hungary before this study. The other objective was to determine the efficacy of a closed-system drug-transfer device at reducing IV cytotoxic drug contamination. Wipe samples were obtained from 5 agreed-on surface areas within the pharmacy, using the Berner sampling kit.17 These 5 areas included the inside of the safety cabinet, the floor in front of the safety cabinet, gloves of personnel working under the hood, the door handle or knob inside the clean room, and the transportation box used to deliver ready-to-administer infusions to the oncology unit. In one of the hospitals, a sample was also obtained from the surface of the elastomeric pumps used for home therapy. Because the pump samples were obtained in only 1 hospital, results for those samples were not considered for the comparative analysis. Where the size of the surface allowed, samples were obtained using a standard 35-cm by 35-cm area (Figure). If the chosen sampling area was smaller than recommended by the sampling kit (ie, ≤2500 cm2 overall), the actual size was recorded and forwarded to the analytical site so that all results could be standardized. A 3-step wiping protocol was followed for all samples. This protocol required wiping in 3 different directions to best capture any residue on surfaces (Figure). To ensure use of the correct wiping technique, pharmacy staff were trained beforehand. Each sampling process was assisted and supervised by experienced study coordinators. Two sets of samples were obtained, both at the end of the day, before decontamination. The first sample was taken at study onset (ie, baseline). The second sample (ie, postintervention) was taken after the closed-system drug-transfer device was used for 2 weeks or 1 month (ie, the study end point). The specific end point of 2 weeks or 1 month was selected by individual pharmacists, because different pharmacies had various resources available to purchase the device. The duration of the closed-system drug-transfer device application was based on the rate of selected drugs used daily at the particular site. To be able to provide contamination data for a similar volume of each cytotoxic drug at each site, participating personnel were asked not to change their actual protocols for preparing the cytotoxic drugs and decontamination before or during the study. Samples were frozen and delivered to the Institute of Energy and Environmental Technology (IUTA) in Duisburg, Germany. IUTA was chosen as the analytical site because the ESOP study monitoring protocol was implemented in Europe,16 which proved that IUTA had developed a valid analytical method to detect surface contamination from wipe samples. The potential presence of the following 8 compounds—5-fluorouracil (5-FU), cyclophosphamide, docetaxel, etoposide, gemcitabine, ifosfamide, methotrexate, and paclitaxel—was investigated using the wipe samples. Although the limit of detection was set by the IUTA at 0.1 ng/cm2, values below this level were estimated and were only provided as information. Essentially, results below the limit of detection indicated that traces of the drug were undetectable on the surface. Each pharmacy used the device for 5-FU, gemcita­bine, cyclophosphamide, and paclitaxel for 2 weeks or for 1 month after baseline samples had been obtained. In addition, each pharmacy selected an additional 2 to 4 compounds from the list of 8, for which the drug-transfer device also was used. Nonselected substances were reconstituted without using this device. Participating hospital pharmacies used 4 main components of the drug-transfer system to ensure effective closure, including a vial adaptor for safe reconstitution from a vial; a syringe adaptor to withdraw and dispense drugs from vials; a spike adaptor to transfer the drug from the syringe through an access port into the infusion bag; and a luer lock adaptor attached to the elastomeric pump to help ensure a closed system for filling pumps with 5-FU. All hospital pharmacies used safety cabinets to avoid aerosol contamination. Each study center used a special cleaning process, which included 0.1 mol/L NaOH and alcohol-based sequential purification, according to ESOP and Hungarian national guidelines. During the study period, no practices or the use of any safety measure or protective equipment were changed. The only experimental intervention was the implementation of the closed-system drug-transfer device. Statistical tests were conducted using SPSS Statistics Software (Version 20.0; IBM, Armonk, NY). To assess for normal distribution of the study sample, the 1-sample Kolmogorov-Smirnov normality test was used. Differences between baseline and postintervention measures were determined by the Wilcoxon test for paired t-tests. The level of significance was set at 5%; 1-tailed tests were used for computation. Table 1 shows the average concentration levels of the different drugs used in the 5 pretest (S1) and 5 posttest (S2) samples for each study center. Three centers (ie, centers 7, 9, and 12) had been using the closed-system drug-transfer device before the study. The prestudy use period ranged from 3 to 8 months. Center 9 did not use docetaxel or paclitaxel, because of the specialization of the hospital. Table 2 provides comparative descriptive statistics studies (ie, baseline and postintervention contamination values) for the 10 pharmacies where the device had not been used before the study, and for the 3 pharmacies that had begun using it before the study. Table 3 displays comparative statistics for the contamination levels of the 8 cytotoxic drugs detected by wipe samples, including differences in mean values between baseline and postintervention. The data show reductions in contamination postintervention as a result of the use of the device. Table 4 presents 5-FU data for samples obtained from the pharmacy of the National Institute of Oncology in Budapest, Hungary, where the device was used to fill elastomeric pumps after baseline samples had been taken. Testing these samples was considered important to determine whether contamination was apparent on the surface of these pumps, and to assess the risk for transmission to patients’ homes. Overall, the findings showed that the level of contamination was higher at baseline, and was reduced significantly for some substances with the use of the closed-system drug-transfer device, but not below the lower limit of detection after 2 weeks of monitoring. Our findings demonstrated higher levels of cytotoxic contamination at baseline, which were reduced postintervention. As shown in Table 2, pharmacies that did not use the drug-transfer device before the study had significantly higher levels of contamination at baseline than pharmacies that had used the device beforehand. Our data confirm the prevalence of environmental contamination in the 13 pharmacies studied, and emphasize the importance of observing appropriate safety measures and protocols for handling cytotoxic drugs. As noted before, pharmacy staff and nurses can be a source of contamination in healthcare settings by being in the first line of exposure. Pharmacists and pharmacy assistants need to be aware of this potential risk. 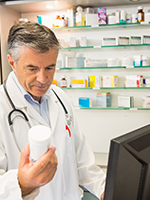 Our study shows that despite the use of best practices, contamination may be found at varying degrees on different surfaces within the pharmacy environment. If pharmacy staff are not sufficiently cautious when working with elastomeric pumps, they may leave cytotoxic residue on the surface of the pumps and thus risk contaminating their patients and their homes. The device used in this study proved successful in reducing contamination for 6 of the 8 substances investigated. Although results for those substances were statistically significant, the contamination level was below the lower limit of detection for some substances. This may, in part, be the result of the short period of use of the device. Although use of a closed-system drug-transfer device for ≥2 weeks may help reduce contamination, this period may not be long enough to determine the full efficacy of the device. A longitudinal study to observe how these devices fare long-term is recommended. That contamination levels for all substances were not reduced below the limit of detection may be explained by the short time of the device use and the wide variety of data because of the substantial physical and chemical differences of the studied compounds, as well as the significant differences in daily infusion production (range, 50-500 preparations daily) among the centers. This study has several limitations. Some of the conditions of our study were not standardized among the participating institutions. In addition, substantial differences were found in infusion production capacity, dosing of selected compounds, and human resources among the study centers. 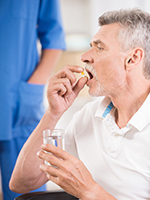 However, this study was not designed to be a standardized, controlled, laboratory experiment, but rather an exploration of actual pharmacy practice. Furthermore, the results varied among hospitals, because of the different pharmacy methods used in the participating institutions. Nevertheless, contamination was evident in all participating pharmacies, and the device used in this study demonstrated a favorable trend in all participating institutions. However, the short period of using the device in this study—2 weeks or 1 month—was not sufficient to determine its long-term effects. In addition, we did not collect data from oncology units to establish their levels of contamination. Finally, our study focused on the hospital pharmacy environment and did not address the safety concerns of pharmacy staff. However, medical and nursing staff who come into contact with hazardous drugs must also be protected during administration. Our study demonstrated high levels of surface contamination in various pharmacy settings in Hungary. The closed-system drug-transfer device used in our study was efficacious in reducing contamination risk for select IV cytotoxic drugs, and minimized the risk for transferring contamination outside of the pharmacy when used to fill elastomeric pumps. Our findings suggest that using such a device is a safe and effective way to minimize exposure to cytotoxic drugs for pharmacy and other healthcare staff. We recommend that these devices be used regularly in pharmacy settings to avoid harm that may be caused by working with cytotoxic drugs. It may also be worthwhile to replicate this study to extend it to hospital administration areas and oncology care units, under more standardized conditions to assess contamination in those areas. This study was partially sponsored by Teva Hungary. The study was managed by Lucidpharma Kft, Hungary. Dr Juhász, Dr Szücs, and Dr Süle received partial support for this study from Teva. McDevitt JJ, Lees PS, McDiarmid MA. Exposure of hospital pharmacists and nurses to antineoplastic agents. J Occup Med. 1993;35:57-60. Rioufol C, Ranchon F, Schwiertz V, et al. Administration of anticancer drugs: exposure in hospital nurses. Clin Ther. 2014;36:401-407. Valanis B, Vollmer WM, Steele P. Occupational exposure to antineoplastic agents: self-reported miscarriages and stillbirths among nurses and pharmacists. J Occup Environ Med. 1999;41:632-638. Selevan SG, Lindbohm ML, Hornung RW, Hemminki K. A study of occupational exposure to antineoplastic drugs and fetal loss in nurses. N Engl J Med. 1985;313:1173-1178. Stücker I, Caillard JF, Collin R, et al. 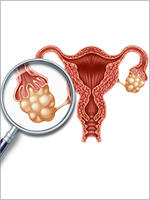 Risk of spontaneous abortion among nurses handling antineoplastic drugs. Scand J Work Environ Health. 1990;16:102-107. McDiarmid MA, Oliver MS, Roth TS, et al. Chromosome 5 and 7 abnormalities in oncology personnel handling anticancer drugs. J Occup Environ Med. 2010;52:1028-1034. Tompa A, Jakab M, Biró A, et al. Chemical safety and health conditions among Hungarian hospital nurses. Ann N Y Acad Sci. 2006;1076:635-648. Mason HJ, Morton J, Garfitt SJ, et al. Cytotoxic drug contamination on the outside of vials delivered to a hospital pharmacy. Ann Occup Hyg. 2003;47:681-685. Hon CY, Teschke K, Chu W, et al. Antineoplastic drug contamination of surfaces throughout the hospital medication system in Canadian hospitals. J Occup Environ Hyg. 2013;10:374-383. Evelo CT, Bos RP, Peters JG, Henderson PT. Urinary cyclophosphamide assay as a method for biological monitoring of occupational exposure to cyclophosphamide. Int Arch Occup Environ Health. 1986;58:151-155. Biró A, Fodor Z, Major J, Tompa A. Immunotoxicity monitoring of hospital staff occupationally exposed to cytostatic drugs. Pathol Oncol Res. 2011;17:301-308. Yuki M, Sekine S, Takase K, et al. Exposure of family members to antineoplastic drugs via excreta of treated cancer patients. J Oncol Pharm Pract. 2013;19:208-217. Nygren O, Olofsson E, Johannson L. NIOSH definition of closed-system drug-transfer devices. Ann Occup Hyg. 2009;53:549. US Food and Drug Administration. Tevadaptor closed drug reconstitution and transfer system [letter]. September 24, 2007. www.accessdata.fda.gov/cdrh_docs/pdf7/k071741.pdf. Accessed April 26, 2018. US Food and Drug Administration. Tevadaptor closed drug reconstitution and transfer system [letter]. January 23, 2015. www.accessdata.fda.gov/cdrh_docs/pdf14/K141448.pdf. Accessed April 19, 2018. European Society of Oncology Pharmacy Project. Monitoring of surfaces contamination with antineoplastic drugs in preparation and administration areas. www.esop.li/downloads/ESOP_project.pdf. Accessed August 10, 2014. Berner. Cytotoxic wipe sampling set PharmaMonitor. www.berner-safety.de/cytotoxic_wipe_sampling_set_pharmamonitor_en_436.html. Accessed April 26, 2018.